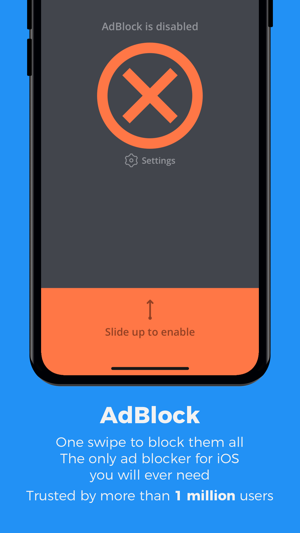 AdBlock allows you to block ads on your iOS device. Get rid of 99% of annoying popups, banners and video ads. Protect your privacy, limit bandwidth use, speed up your device, save battery and drastically improve your day-to-day iOS experience. • AdBlock works with Wi-Fi and cellular networks. You don't need to set it up separately for every network you use. • AdBlock has a local DNS proxy service built in. Use it to see which domains you're device is contacting. 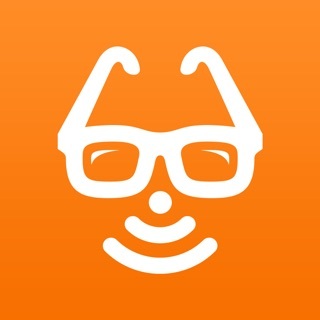 Create your own rules and assign any IP address to any domain right on your device. • AdBlock has enhanced DNS proxy rules export and import function. 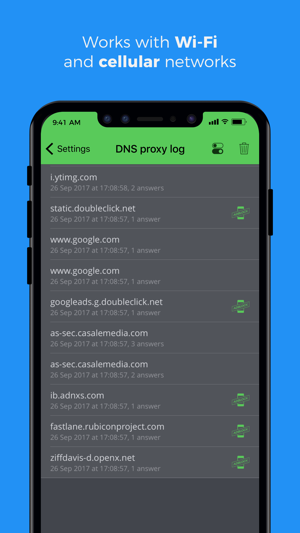 Share DNS proxy rules with other users, easily import rules found on the Internet. 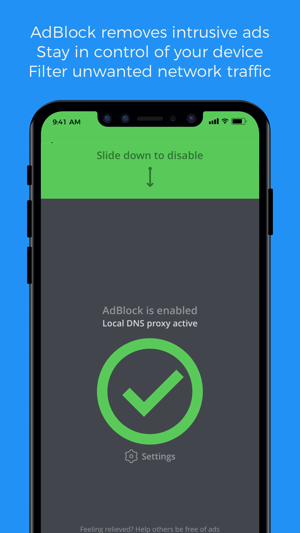 • AdBlock allows you to create your own list of domains and synchronise your rules between all your devices using iCloud. 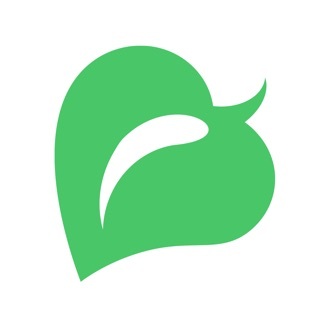 • AdBlock allows you to protect your privacy by blocking mobile trackers. Prevent Internet trackers from recording of your activity. • AdBlock does not send your Internet traffic through any remote server. All of your connections stay direct, fast and secure. Ads are blocked on your device. • Setting up AdBlock is very simple! Just download the app, and follow the tutorial to set everything up. 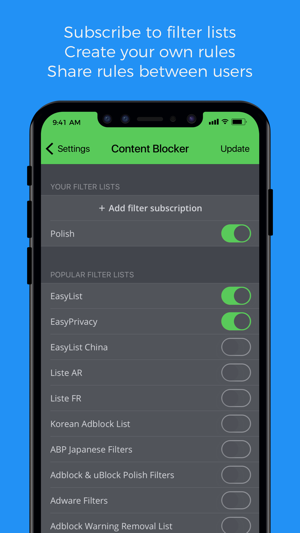 • AdBlock automatically updates to the latest version of the filters on every app run. We keep the ad servers database up-to-date for you. • AdBlock comes with a very handy widget to quickly enable or disable DNS proxy on your device. In this release we've improved DNS proxy rules import and export. You can now easily share your rules by long pressing on the IP or any group assigned to it. When exporting an IP or group, the export format will now include information about contained domains and how they are organised into groups. Now you can also import rules from hosts files, coma and new-line separated lists and our own format (.adblock file extension). You can import DNS rules into AdBlock from URL or directly from other apps like Files or Dropbox. We've also improved the Safari Content Blocker with better rule handling and duplicate rule detection. It's a great idea to be able to block ads in any ios app and this latest version (4) seems to work well. Just one thing; I would like adblock to be able to close up the space left where the ad would have been - that would make it perfect. Crystal for Safari is able to do this, of course only in Safari and it's really the only reason I keep Crystal installed as well - I wouldn't need Crystal at all if adblock could achieve the same trick, especially now that adblock offers a specific Safari plug in option. Please think about whether this is possible. 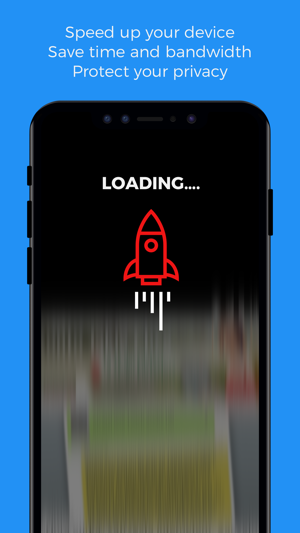 Been using this app for a while and when it’s switched on it blocks most ads. For those complaining that its missing some that’s to be expected with adblockers....its a constant game of cat and mouse blocking new advert techniques. 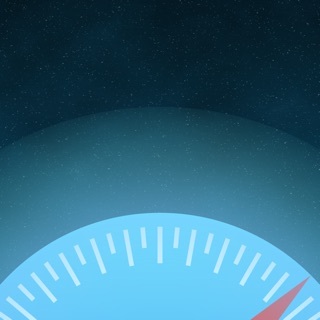 Started to work amazing again after the change from VPN to DNS due to Apple’s policy change. 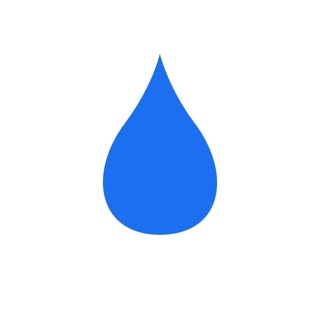 Works perfectly in blocking ads throughout IOS (within all apps and web). I just added disabled Doubleclick and Googleadserver as I needed them, yet still all the ads are blocked. Amount of time and data this app saves is invaluable.